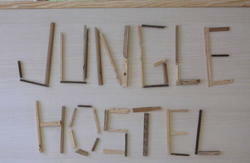 Traditionally constructed, if youâ€™re looking for an authentic Goan experience then Wanderers Hostel is sure to delight. Just a short walk from the hostel, you are on the doorstep of the beautiful arabian sea, where you can end up to the sound of the crashing waves and fresh ocean air. The long, sandy, palm-fringed beach of Morjim is perfect for more than just sun worship. Scores of shacks serving cold beer and fresh seafood make them one long beach party. Wifi, pool table, air con rooms, breakfast, huge lockers, vast library, communal kitchen, 24/7 security, great common room and numerous terraces with a tropical back garden are the few essentials at Wanderers. The Anjuna Wednesday flea market, famous Vagator & Arambol beach, Arpora Saturday night market are a mere ten minute drive away from the hostel.The partying cats wont be disappointed either. Being centrally located, Wanderers is surrounded by the popular clubbing venues and partying spots of Goa like Bora bora, Bardo, Blue waves, Liquid sky, Republik, Shanti, Marbela etc to the north and Hilltop, Ninebar, Curlies, Club Cabana etc. to the south which are all few minutes drive away from the hostel. Finally Its not a place to Sleep, but to Live ! 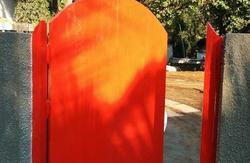 Anyone will point you towards Laxmi restaurant and Sea horse hotel in Morjim. Take a right from sea horse that leads towards Ashvem Beach and Bang where the road ends on the junction you will see paddy fields in front of you. A small road parallel to the fields will bring you to our hostel, hidden from the hustle and bustle. If any confusions ask for Nanu Wines, we are bang opposite to the shop. Taxi (2 hours | Rs 1,400 - 1,600): Most tourists arriving in Goa flock at the beaches on the Northern coast. So don't be shy and go ahead and ask your fellow passengers if they'd be willing to split a cab to Morjim /Mandrem/Arambol. If you want test your bargaining skills in India try pushing him for Rs.1000 which is not impossible. So go on! Bus (2.5hrs Rs 60): You could try, but better be prepared for a patient journey. From the airport take the Panjim express bus. From there take another bus to Morjim, mandrem or Arambol. Mind it there are only few buses from Panjim directly to Morjim or Arambol. So the best option will be to take a bus to Mapusa which is around 15 min drive from Panjim. Change another bus from Mapusa to Morjim, Mandrem or Arambol which are frequently available and alight at the Moadhlawado intersection near Nanu Wines before Raj Supermarket. If you are confused simply tell VIDYA PRASARAK high school Morjim. From the bus stop, head backwards towards Nanu Wines liquor shop and 200m down the road on your right side, you will find Wanderers Hostel parallel to the paddy fields at the crossroad. The whole journey would not cost more than one dollar! Bus (1 hour | Rs 35): Catch a bus from Tivim to Mapusa (Rs. 20) and alight at the last stop â€“ the Mapusa bus terminal. At Mapusa, catch the bus heading to Morjim, Mandrem or Arambol and alight at the Madhlawado intersection near Nanu Wines before Raj Supermarket. If you are confused simply tell VIDYA PRASARAK high school Morjim. From the bus stop, head backwards towards Nanu Wines and 200m down the road on your right side, you will find Wanderers Hostel parallel to the paddy fields at the crossroad. Taxi (2 hours | Rs 2000): Most trains stop at both Margao and at Tivim. If you're given the option, try and get off at Tivim railway station. 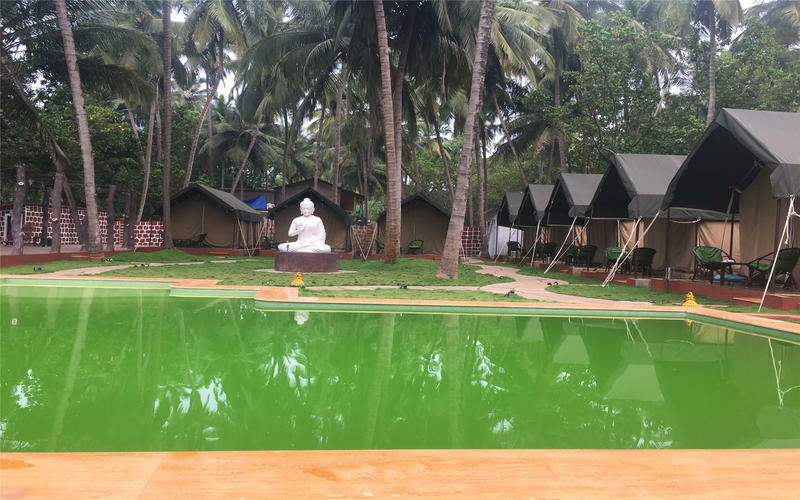 Wanderers Hostel is located in the vibrant beach town of Morjim bundled with coconut groves in the backdrop and glowing paddy fields. Our main hostel building is a 5 minute walk from Morjim beach and is conveniently located close to a supermarket, bars, restaurants and even a bakery.